EP Chairman for Euronest Parliamentary Assembly Kristian Vigenin expressed his regrets concerning the unsuccessful attempts to reach an agreement with the Eastern countries to launch the Euronest Constitutive Assembly today but remains very optimistic that this assembly will kick-off later this year. Vigenin said this during a press conference today in the European Parliament. Despite that the European Parliament does not have official relations with the Parliament of Belarus, the Eastern Partnership opened new opportunities for a new policy towards Belarus. In an attempt to find a compromise solution on the participation of Belarus in Euronest, an EP delegation went to Minsk earlier this year to discuss this issue with the opposition, civil society and the government of Belarus. 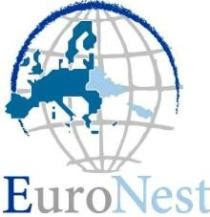 It was agreed that Euronest could offer a platform for the Belarusians to maintain this outgoing dialogue to promote a democratic society and respect for rule of law. Vigenin gave a detailed account of the process which led to the agreement on the rules of procedure as presented by the EP, namely to invite 10 members of the opposition and civil society from Belarus to participate as observers in Euronest. Meanwhile, it was proposed to create a working group together with the other 5 Eastern countries to monitor the developments in Belarus and continue discussing the status of Belarus in the assembly. This idea emerged following a letter signed by the Speakers of Parliament of the 5 Eastern countries, in which they pleaded to invite Belarusian members of parliament to participate as equal partners in the Euronest Parliamentary Assembly. The local elections due to be held in Belarus on 25 April will be the first concrete opportunity for the Belarusian government to prove their commitments towards taking the necessary measures to hold free and fair elections which could pave the way for further strengthening relations with the European Union. Kristian Vigenin repeatedly expressed his optimism that the Euronest Parliamentary Assembly will be launched later this year.